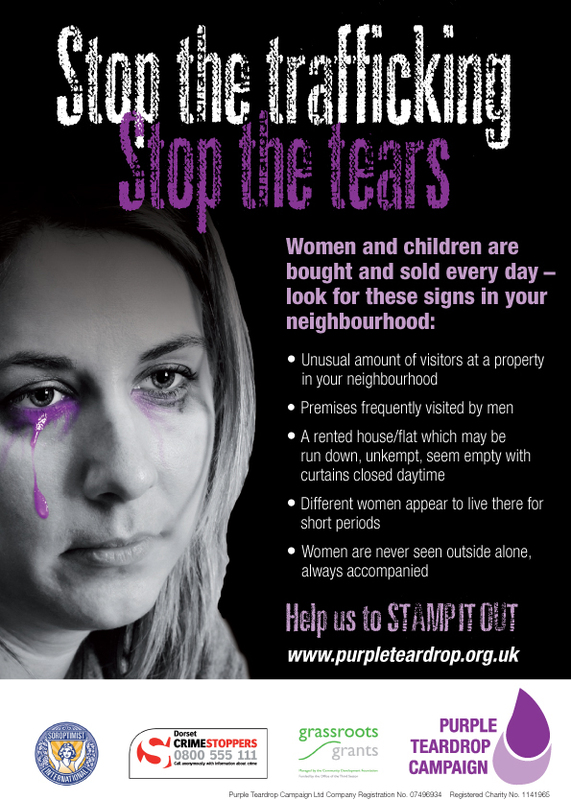 Talk about the Purple Teardrop Campaign in your community. The whole idea is to make others aware – talk, raise funds and distribute information – by making use of our documentation, knowledge and resources. 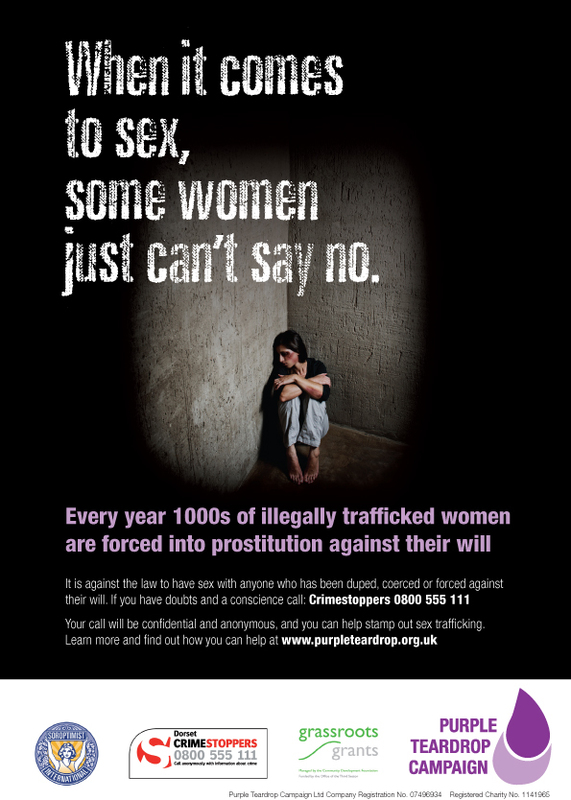 The more people know about human trafficking, the more chance there is of finding and freeing victims and stopping the traffickers. 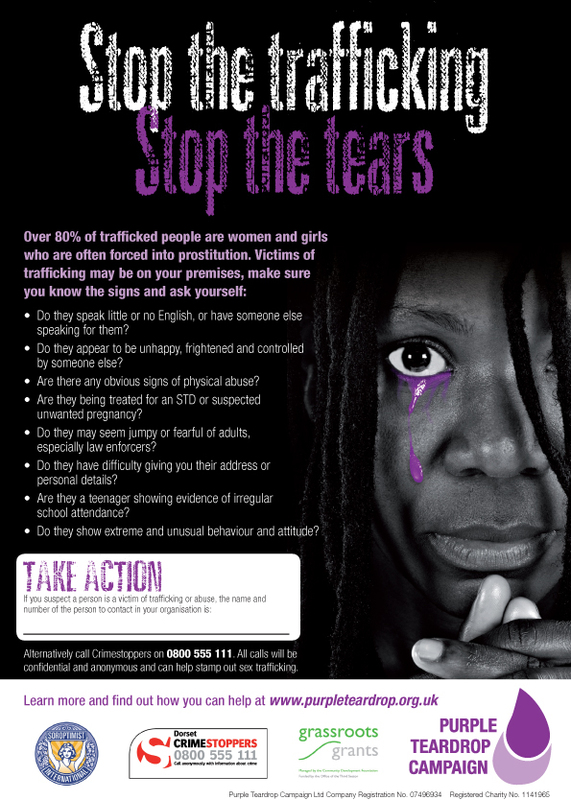 Purchase our posters and display them prominently at your place of work, leisure club, library, church or wherever they will be seen by large numbers of people. Our information leaflets make useful handouts whilst our CD contains a model of excellence to hold a launch event. The CD is particularly geared to Soroptimist clubs but can equally be used by other organisations such as Women’s Institute, Townswomen’s Guild, Mothers’ Union, Rotary and more. 24 assorted posters cost £8.50. 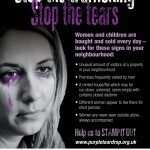 Prices include packaging and 2nd class post within the UK. 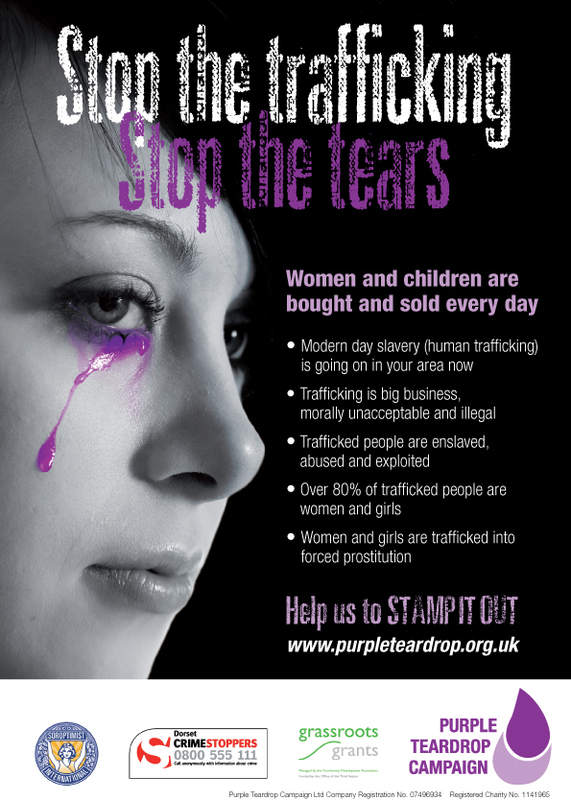 Proceeds are ploughed straight back into the Purple Teardrop Campaign to continue our awareness-raising work and to provide support for trafficking victims once freed.